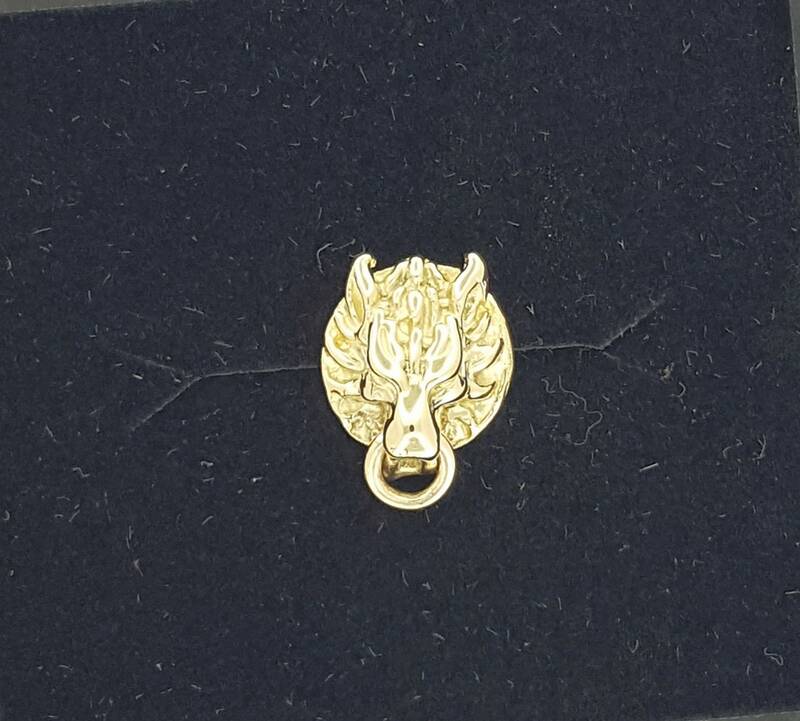 This is a single handmade stud earring offered in gold on order based on the anime character Cloud Strife of Final Fantasy 7. 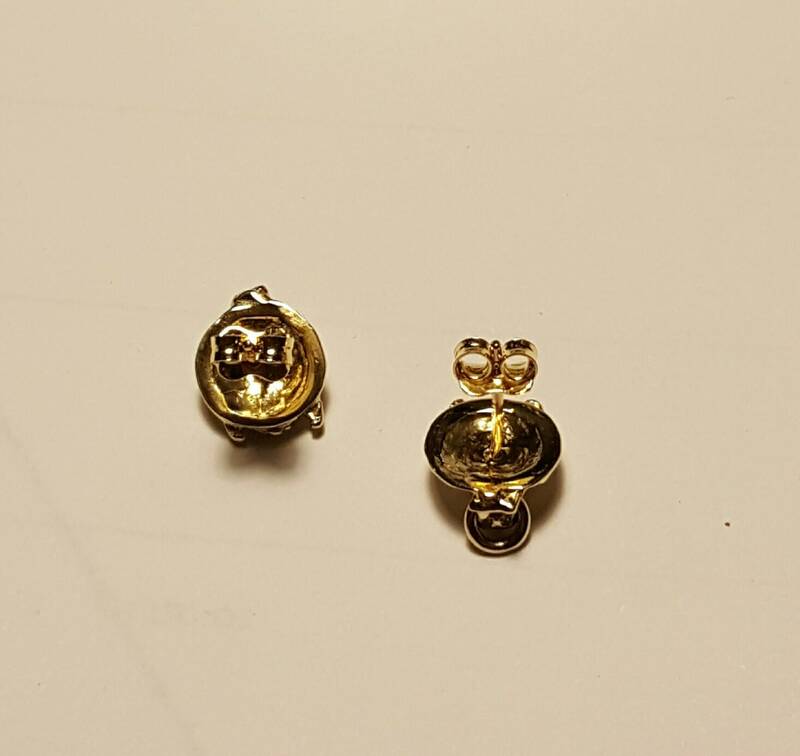 The tops are 1.4cm long with the ring and 1cm wide. The earrings in the picture are the example of them in sterling silver, but wanted to offer the option of them in gold as well. You can choose any carat and color you want and they will take about a week to make for you after you order. Shipping is with insurance and tracking. All my gold jewellery is custom made per order and is not eligible for returns or refunds. These are not stock items as they are made only upon ordered. So please take this into consideration when you order. Also note that for 18k pink gold earrings, earring posts and clutches will be in 14k pink as they are unavailable in a higher carat by any of my suppliers. Ask any gamer that has played FFVII or watched Advent Children and they will know where the idea for these came from! 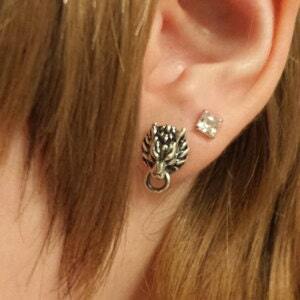 I was at an anime convention and saw these cheap imported pewter earrings with an awesome design. As I'm allergic to everything not silver or gold, I decided to remake the same design in silver, but better! 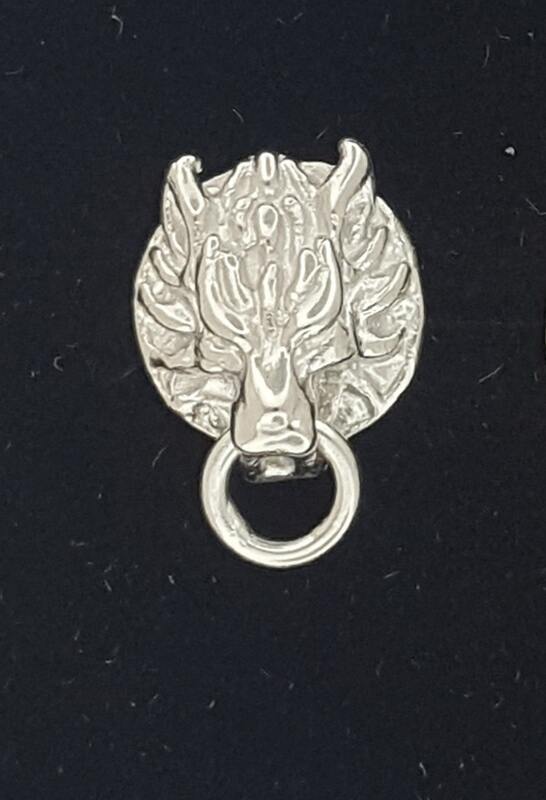 Fenrir is the wolf motif that became prevalent in the Final Fantasy VII series. Fenrir, a brownish-gray timber wolf that appears several times in the movie Final Fantasy VII: Advent Children, is seen as a symbol of Cloud's loneliness and his guilt for the deaths of two of his friends: Aerith Gainsborough and Zack Fair, as well as for his other failures. The wolf may signify Cloud being a "lone wolf" who tries to deal with problems his own way, either by confronting them or escaping from them, without the help of others.